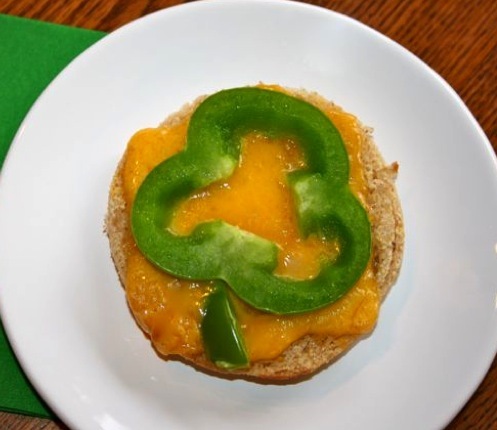 If you are not in the spirit of St. Patrick’s Day yet, you may become inspired by this snack! These shamrock snacks are so easy and fun to make. You will also find that they are easy on the wallet! For this recipe, you will need english muffins, green bell pepper, and cheese. ***If you want to add meat, you can hide it under the cheese and not tamper with the design. I would suggest pepperoni slices because they taste great with green bell peppers. If you are interested in this, you may like Lucky Shamrock Spinach Quiche.